Pradeep Chhibber is professor of political science at UC Berkeley, where he directs the Institute of International Studies. 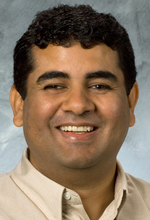 He is also the Indo-American Community Chair in India Studies. Chhibber studies party systems, party aggregation, and the politics of India. His research examines the relationship between social divisions and party competition and conditions that lead to the emergence of national or regional parties in a nation-state. Chhibber has previously written about the influence of caste and religion in twenty-first century politics in India. His work also addresses the influence of party politics and party systems on state policy and the delivery of public goods, and the gendered nature of representation in electoral politics in India. He is the author of Religious Practice and Democracy in India (Cambridge University Press, 2014, with Sandeep Shastri), The Formation of National Party Systems: Federalism and Party Competition in Britain, Canada, India, and the U.S. (Princeton University Press, 2004, with Ken Kollman), and Democracy without Associations: Transformation of Party Systems and Social Cleavages in India (University of Michigan Press, 1999). He received an M.A. and an M.Phil. from the University of Delhi and a Ph.D. from UCLA. Amit Abuja is an assistant professor in the Department of Political Science at the University of California at Santa Barbara. His research concentrates on the processes of inclusion and exclusion in multiethnic societies, studied within the context of ethnic parties and movements, military organization, and inter-caste marriage in South Asia. He focuses on the politics of marginalized minorities—those who have been left out of social, political, and economic progress by virtue of their racial and ethnic characteristics, as well as their economic and religious status. He has completed one book manuscript, Mobilizing Marginalized Citizens: Ethnic Parties and Ethnic Movements, and has a second book-length project currently in development called Building National Armies in Multiethnic States. 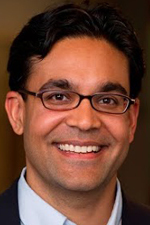 Milan Vaishnav is an associate in the South Asia Program at the Carnegie Endowment for International Peace. His primary research focus is the political economy of India, and he examines issues such as corruption and governance, state capacity, distributive politics, and electoral behavior. One of his ongoing major projects examines the causes and consequences of political corruption in India with an emphasis on representation and quality of political leadership, connections between the state and private capital, and the management and exploitation of natural resources. He also works on development policy as well as issues of governance in developing countries and their relation to democratic accountability. He is the co-editor of the book Short of the Goal: U.S. Policy and Poorly Performing States (Center for Global Development, 2006). His work has also been published in the Latin American Research Review. Previously, he worked at the Center for Global Development, where he served as a postdoctoral research fellow, the Center for Strategic and International Studies, and the Council on Foreign Relations. He has taught at Columbia, Georgetown, and George Washington Universities. 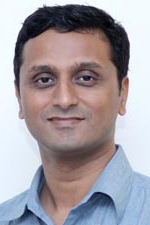 Chandan Gowda is a Professor of Sociology at Azim Premji University in Karnataka, India. Gowda worked as Associate Professor of Sociology at the Centre for the Study of Social Exclusion, National Law School of India, Bangalore, after earning his Ph.D. degree at the Department of Sociology, University of Michigan, Ann Arbor, in 2007. He obtained an M.A. degree in sociology from the University of Hyderabad in 1996 and a Ph.D. Certificate in Cultural Studies from the University of Pittsburgh in 1998. 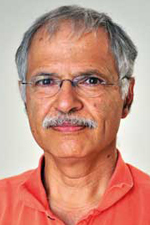 Gowda's research interests include social theory, Indian normative traditions, caste, and Kannada literature and cinema. In addition to his academic publications, he has written for newspapers and published translations of Kannada fiction and non-fiction in English. Before moving to APU, he was Associate Professor of Sociology at the Centre for the Study of Social Exclusion, National Law School of India, Bengaluru, between 2008 and 2011. He is presently completing a book on the cultural politics of development in old Mysore state. 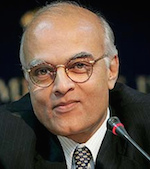 Ambassador Shivshankar Menon is India’s former National Security Advisor to Prime Minister Manmohan Singh (January 2010-May 2014) and Foreign Secretary (2006-2009). He also served as India’s ambassador to China and Israel, as well as high commissioner to Pakistan and Sri Lanka. Prior to that he was Indian High Commissioner to Pakistan, and in China, Sri Lanka and Israel as ambassador and diplomat. Menon started his career in 1972 with the Indian Foreign Service. He served the Department of Atomic Energy (DAE) as Advisor to the Atomic Energy Commission. This work continued through his posting in Vienna. He was then posted to Beijing, the first of three positions he served in China. His last position in China as ambassador was also significant as it marked improvement in Sino-India relations, the high point being the visit of then Prime Minister Atal Bihari Vajpayee. Menon has also served as Ambassador to Israel and High Commissioner to Sri Lanka and Pakistan. He was appointed Foreign Secretary in 2006, and was the National Security Advisor to Prime Minister Manmohan Singh. He relinquished office as National Security Adviser on 15 May 2014.